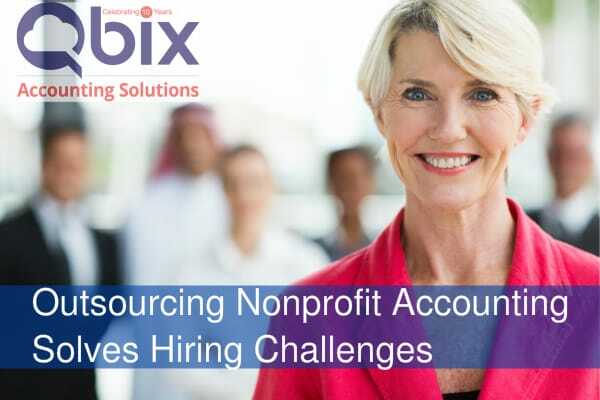 Outsourcing Nonprofit Accounting Solves Hiring Challenges – Recently Reuters Business News reported that the number of job openings exceeded the number of hires in the month of March. This metric is a bellwether of ongoing hiring challenges for nonprofit organizations. With more open positions than talent to fill those positions, an open position within your organization may stay open for much, much longer than you’d like. Another manifestation of the current jobs market is that more employees are leaving to take higher paying positions elsewhere. Do you simply wait it out with fingers crossed, hoping that the right candidate will find their way to you? You can’t ignore your accounting duties. Eventually it will cost you. It might be a nuisance cost of a late fee because a bill wasn’t paid on time. It might come in the form of a messy audit. It might even result in losing a grant award. There’s a better option for you. Outsource your nonprofit accounting. For roughly the same cost as recruiting and hiring a full-time employee, you can outsource your accounting to a team of professionals. Why settle for a less than qualified candidate when you can enlist a team of accountants who would be working on your behalf? Our team our trained and certified in multiple ways and understand nonprofits, accounting, and technology. We’ve seen all kinds of funding combinations, reporting requirements, and compliance needs. We are experienced in the latest best practices and can apply them to your organization. We’ve implemented cloud-based technology solutions that save time, money and provide controls to protect you from fraud. You’ll have accurate, up-to-date reports, quicker monthly closes, and real time dashboards to track organizational KPIs. Reports and dashboards have drill down capabilities that allow you to be more responsive to board, donor, or other stakeholder inquiries. Let’s face it – any change brings disruption. Outsourcing keep disruption at a minimum. There’s an on-boarding process that requires your involvement but from that point on – you don’t have to worry. You’re free to focus on your role as the executive leader of the organization. Better yet, you’ll have access to better information when making important decisions. Outsourcing nonprofit accounting solves your accounting staffing challenges once and for all. You’ll be happier. The board will be happier. And, more importantly, you’ll be in a better position to fulfill your mission. Schedule a call with us and let’s talk about the particular needs that you have.